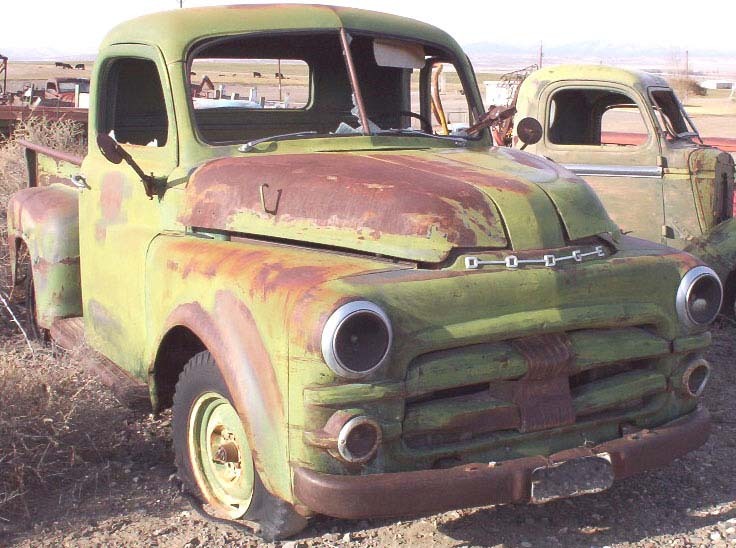 This green 1953 Dodge Series B-4-B 1/2 ton 108" SWB pickup is a mostly complete western desert farm truck ready to be restored or customized. The body has solid dry sheet metal, except the tail of the right rear fender is rusted. There are some small dents here and there in the body. The front bottom of the right front fender is dented. There is a dent in the back top of the right rear fender. There are dents in the cab back and top and in the box side tops. The rear fenders have reinforcement bolts around the wheel wells. The left door is sprung and bent along the hinge seam. The grill bars are bent and dented. The parking light lenses are missing. The Dodge hood badges are missing. All the glass is gone. The tailgate is bent and dented. The rear bumper is gone. The box floor wood is deteriorated. The truck has side mirrors. The gray interior is missing the seat bottom, pedal floor inspection plate, door handles, glove box door, radio and speaker, clock insert, ash tray, horn button and shifter knob. The floor is solid. 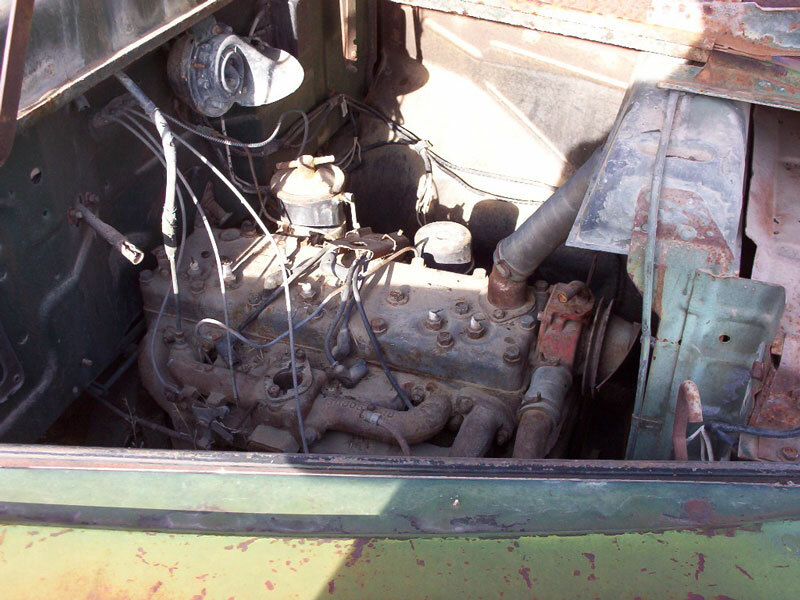 The 218 CID L-head inline six cylinder 100 HP motor is missing the carburetor, air cleaner and distributor cap. The three speed manual floor shift transmission and drive train are there. 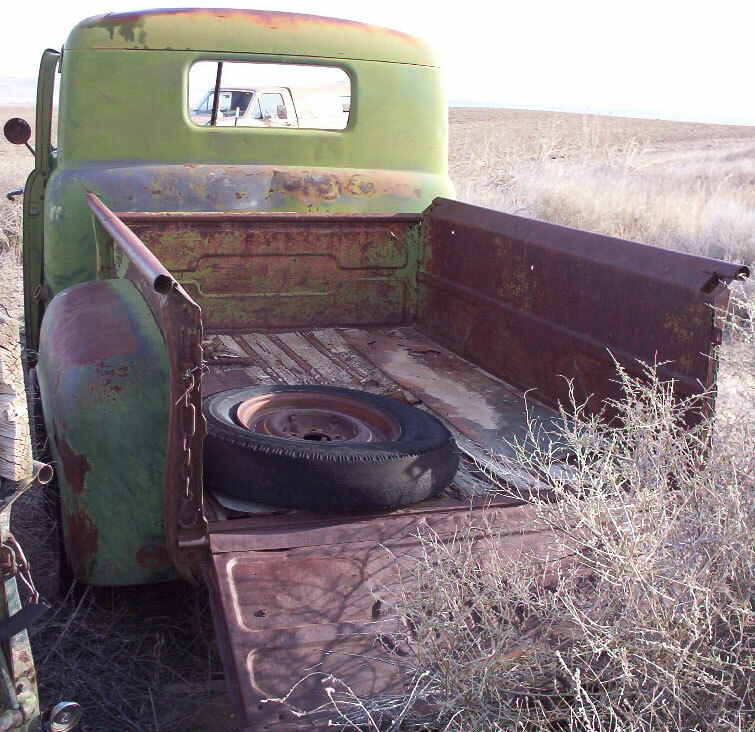 Here is your change to restore or customize a 15 Dodge 1/2 ton pickup truck. 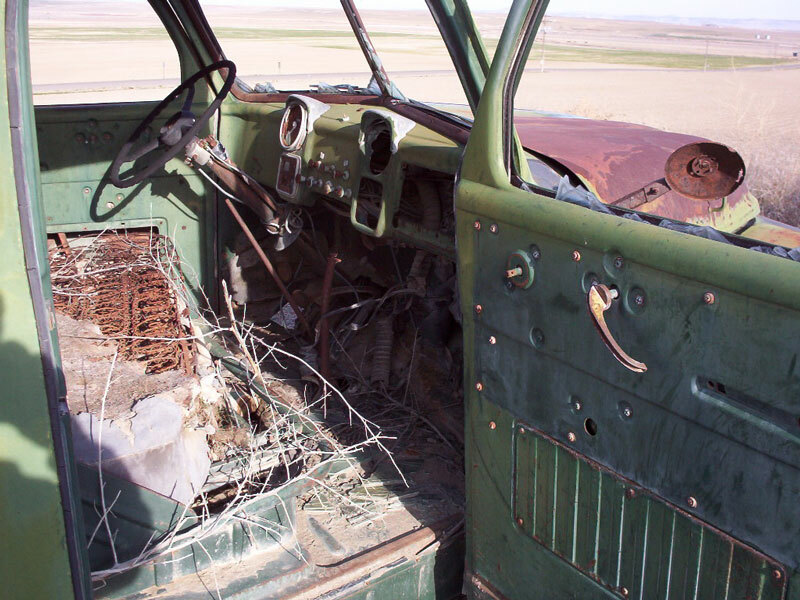 Please call (406) 318-0270 for details about this restorable classic 1953 Dodge project truck.